For those familiar with the movie classic that pokes fun at the workplace, Office Space, you probably remember the scene where that boss repeatedly nags his subordinate about the importance of a cover page on the TPS reports. This exchange between the boss and subordinate highlights that status reporting is a management mandated activity that does very little in terms of getting actual work done. Unfortunately, many project teams maintain this same attitude when it comes to project status reporting. 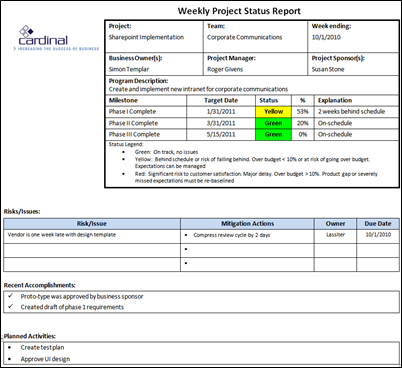 This project management purist views project status reporting as an integral component of effective project communications and reporting (no surprise there). In fact, I would go so far as to say it represents one of a handful of best practice areas that ensures success throughout the execution phase of the project life cycle. My general guideline is that a status report should not exceed two pages – if it does, stakeholders are likely to miss some, if not all, of the key messages. Metrics: Project metrics are the primary ingredient of the status report that creates fact based information on a regular basis. 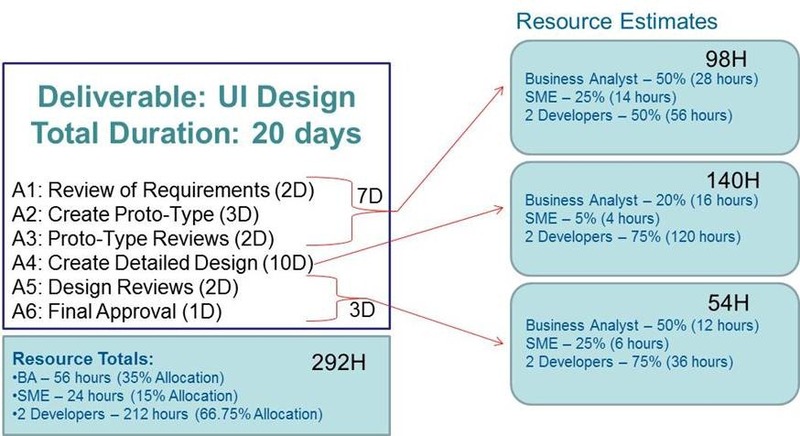 These metrics must be generated directly from the project management artifacts that are utilized to manage the project on a day-to-day basis (project schedule, project budget, risk register, change control logs). 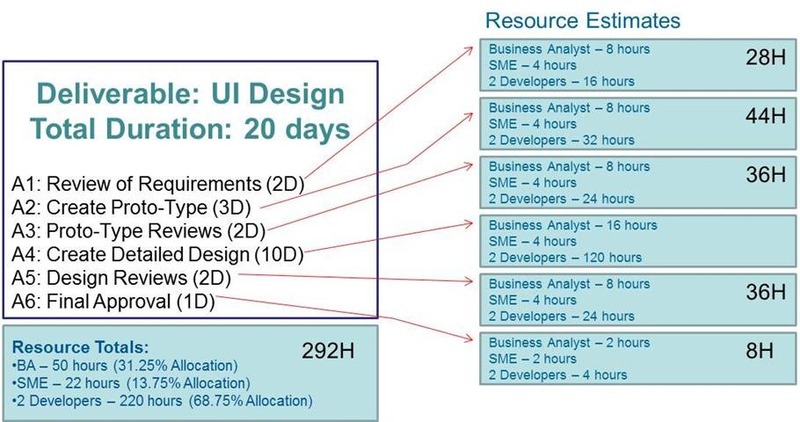 Because these metrics are created from existing project management tools, there should not be significant effort associated with updating them. Timing: The most important element related to the timing of the project status report is establishing and maintaining strict adherence to a consistent reporting interval (e.g., every other week) and delivery schedule (e.g., by end of day on Monday). This ensures that the stakeholders know when to expect (or look for) the status report. From my experience, implementation of either weekly or bi-weekly status reporting most effectively meets the needs of both the project manager, and key stakeholders, without creating too much project overhead. Specific sections of the status report may be provided on a less frequent basis (e.g., budget information may be updated on a monthly vs. bi-weekly basis). Re-enforcement of the message: Project managers often fall into the trap of assuming that distribution of the status report is enough to ensure that the key messages are well understood, and the appropriate next steps are completed. 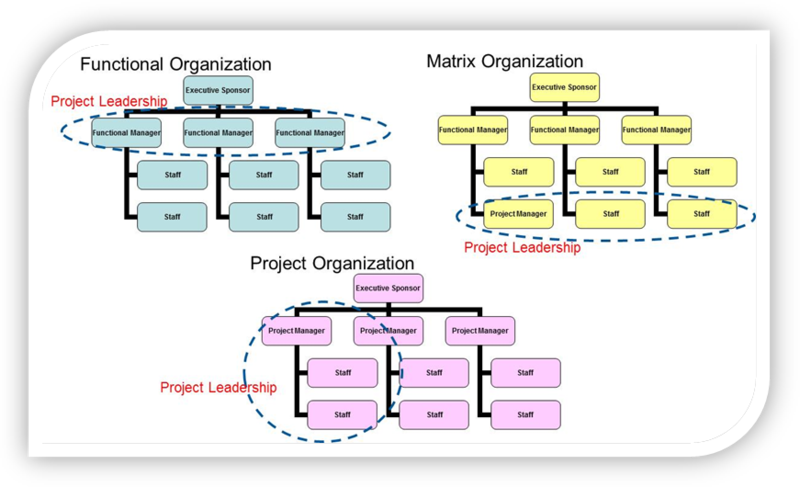 The distribution of the project status report needs to be directly connected to other regular team communication events (core team meetings, project sponsor / steering committee meetings) to confirm understanding of the current and forecasted status, escalate issues / risks, and initiate corrective actions. “It is really only required for big projects. It is overkill for a small to medium size project”. I am often accused of drinking the PMI/PMBOK Kool-Aid, but my sincere belief on this topic is that the comments above relate to a gap in execution of effective best practices, not a case of theory vs. reality. • Project Definition – The project definition provides the “big picture” about the project. This section demonstrates to the stakeholders that the team clearly understands the problem they have been tasked with solving. It is important that the assumptions and constraints identified up-front are reviewed and managed throughout the project life cycle. • Scope Management – The scope management plan provides a high level description of the project, and the process utilized to define and manage this scope. Make sure the deliverables are described at the level that will remove ambiguity across different stakeholder perspectives. • Schedule Management – The schedule management plan highlights the major project milestones, and describes important components of the schedule. Which portions of the schedule are built based upon time (duration) vs. effort (work)? 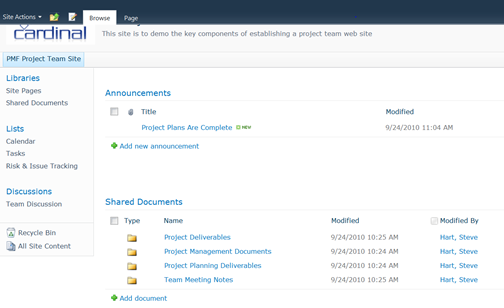 Where have planning components been included in the schedule? What criteria were utilized to test the level of granularity in the schedule? • Cost Management – Cost estimation and control are vital to a project’s success. This section describes the costs associated with the project, how they were estimated, and how they will be tracked and reported. This section also describes any gaps between the cost baseline and the project funding sources. • Change Management – The change management plan provides a definition of change in the context of the project, and when the change management processes will be utilized. Defining and managing change can be a contentious area, and the best practice is to ensure stakeholders clearly understand and agree how it will be defined and managed well before it occurs. 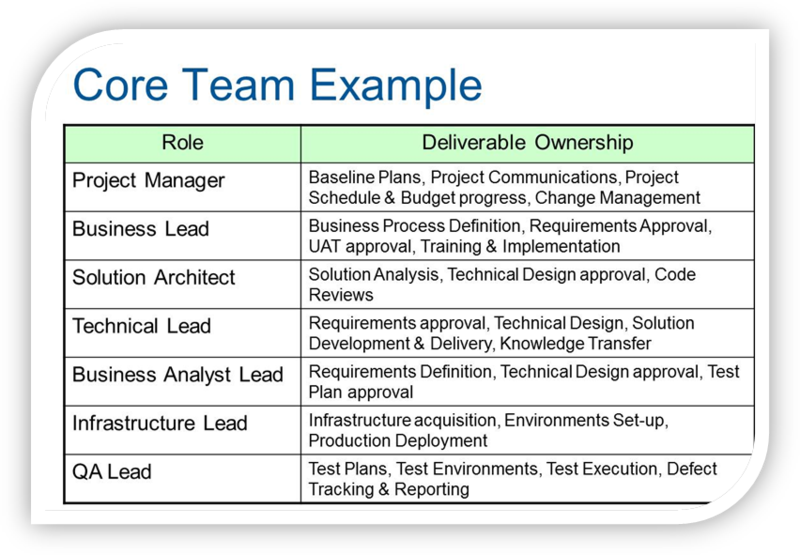 • Roles & Responsibilities – Defining roles at the beginning of the project is crucial for a smooth project launch. One of the chief causes of project “churn” is related to people not being clear about their role on the project. Make sure the content of the plan is focused on the information that is relevant to the project. 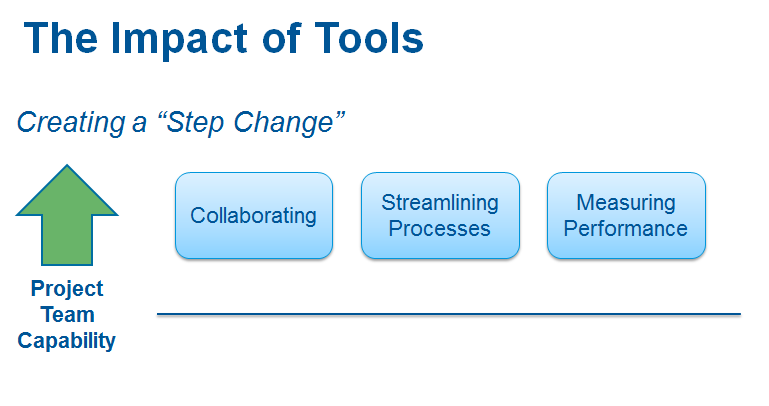 Describe the processes and tools that represent the critical success factors for the project team. 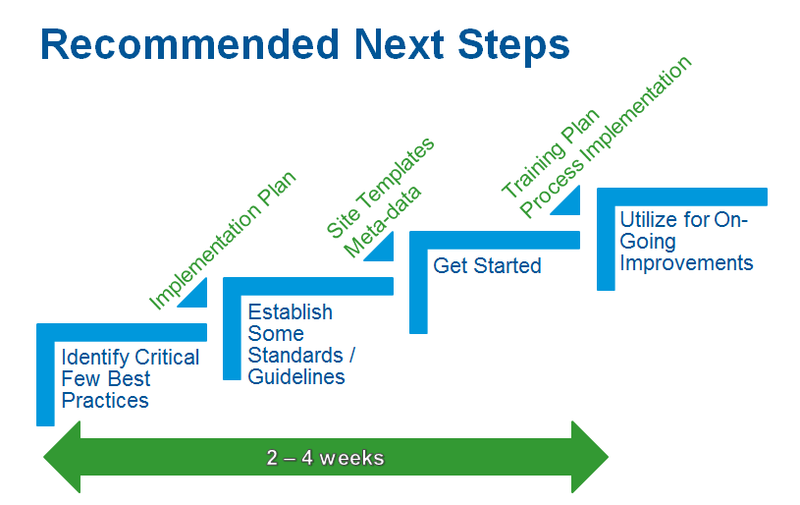 Standard processes and tools should be referenced, not included in the plan. This also ensures that the content of the plan is “sized” appropriately to the scope of the project. 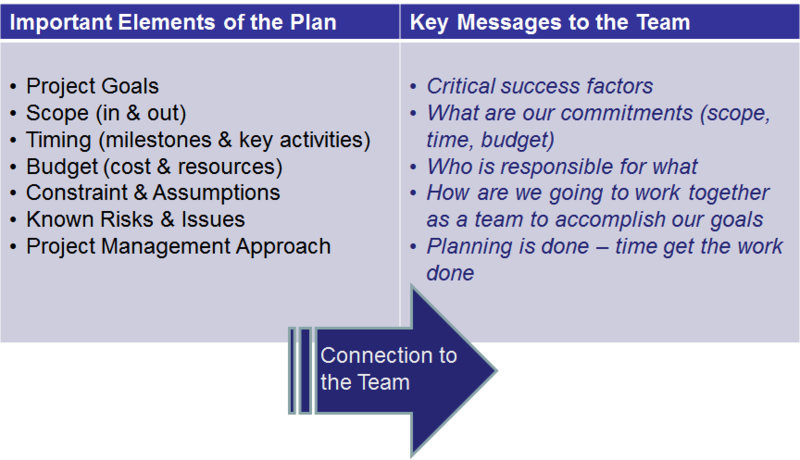 Present the plan to stakeholders in a manner that clearly articulates the key messages. Do not be afraid to use charts, tables, and graphics to illustrate key points. In addition, consider preparing summary documents that are utilized to brief key stakeholders on the project. Personally reference the plan on a regular basis, to ensure that the team is effectively executing the plan in a manner that will meet or exceed customer expectations. Take deliberate actions to ensure that the plan remains current throughout the project life cycle. It is worth the time investment to ensure that there is a “single version of the truth” about the project, in the form of the project management plan.